Every once in a while, I stumble upon one of those exceptional meals… so consistent from start to finish that I’m salivating even before I tuck into the first dish and left smiling for hours on end after the meal. Whilst there are several restaurants in London which aim to deliver on good Iberian Cuisine, I’ve yet to find a place that does it with such rustic, inventive flair as Eyre Brothers does. 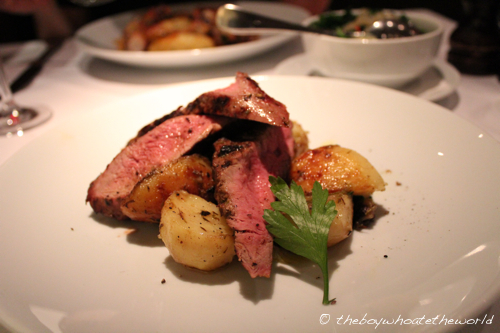 The flavours at EB are big, gutsy yet sophisticated. 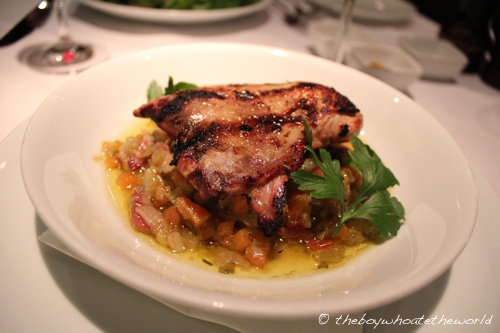 Take their exceptional char-grilled Quail starter for instance. Marinated in Madeira, the surface of the quail had a delectably sweet yet smoky char which complement the well-seasoned, juicy quail meat beautifully. A delicious dish, that was made even better with the very comforting sofrito of carrots, celery and onions it was served on top of. Unlike other places where it sometimes goes downhill after the starter course, it just got better and better here. Their signature main dish of Acorn-fed Ibérico pork loin, char-grilled to a beautiful medium rare is a pork fillet like no other. It’s succulent… it’s lean… and it melts in the mouth the way a top-notch fillet steak would. The flavours are by no means subtle or delicate…. it’s a no hold’s barred explosion of smoky-charred piggy flavour followed by a burst of smoked paprika, garlic and thyme from the marinade and roast potatoes. Stonkingly good. Jo’s Octopus dish was just as satisfying. 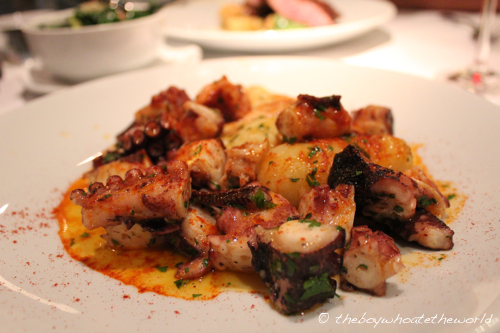 Packed with huge chunks of fresh, tender pulpo and perfectly cooked potatoes, there were bold flavours of garlic and paprika throughout. Another rustic yet brilliant dish that I could eat over and over again. EB’s concise list of wines and sherries (many of which they do by the glass) have been carefully sourced and selected from the best corners of the Rioja region, Portugal and beyond. Every glass we had from the Sparkling Rose Cava, to the Tempranillo Rioja to the delicate, floral Luis Pato white wine from Portugal was top draw, wonderfully complementing the big flavours of the food. All this loveliness does come at a price though. With most starters at £10-£12 and mains ranging from £20-£25, a meal here including drinks could easily rack up to the £100 mark for two. Hence, I’m not going to argue with those who regard EB as a tad overpriced… after all, it is rather dear for food that isn’t quite avant-garde, fine dining cuisine. 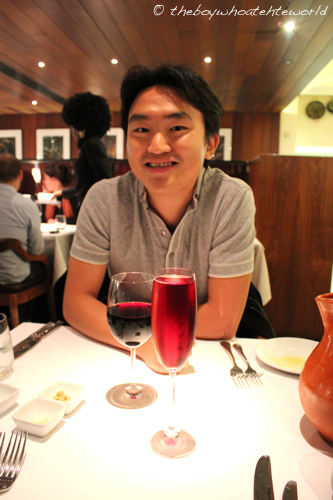 But for me, the quality and consistency of the food throughout fully justifies the price tag. From start to finish, it’s simply been one of the best meals I’ve had all year and a fond reminder of all those marvellous flavours I enjoyed in San Sebastian back in Easter.